Brand: PME Knightsbridge, Ltd 34-698LS Units: 100 mL can Create stunning luster effects with this easy to use Lustre Spray Colour. Add a wonderful new dimension of styling and elegance to your celebration cakes, chocolates, cupcakes, cookies and desserts. 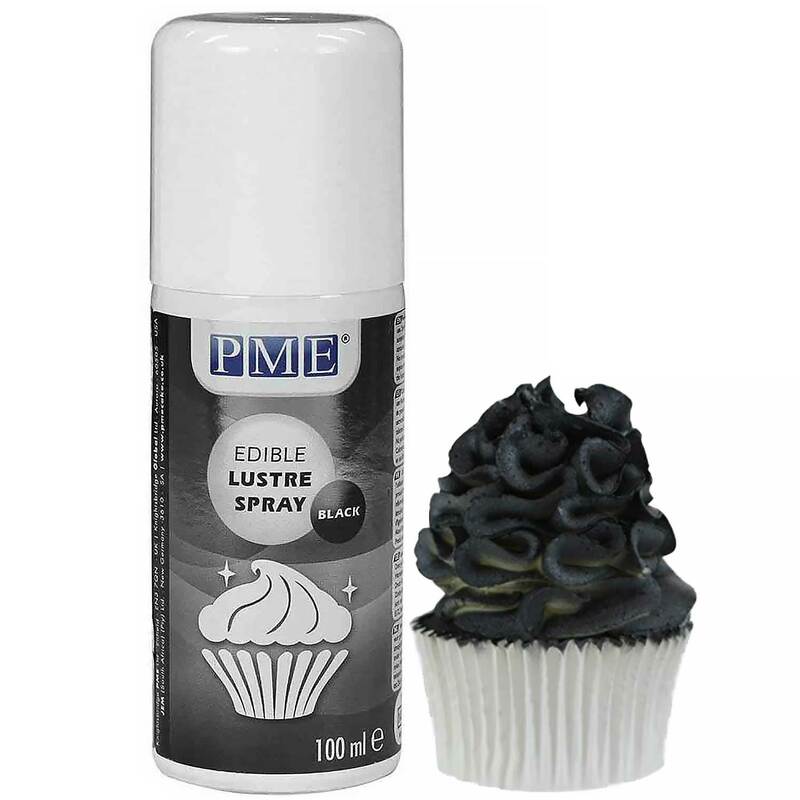 Use this edible Lustre Spray Colour to highlight, enhance and decorate a wide range of decorative materials including: sugarpaste, chocolate, buttercream, almond paste, flower paste & gum paste. Ingredients: Additive, E943a, E943b, E944, Ethyl Alcohol, Flavors, E172, E555, E171.